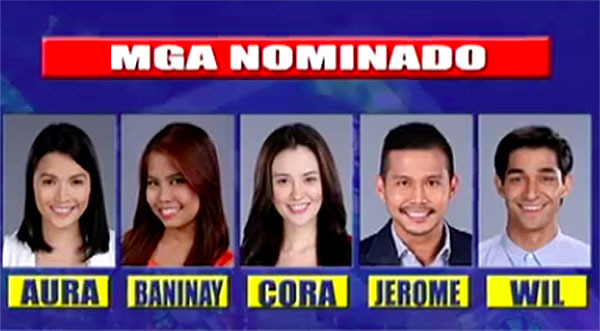 Who’s evicted from Pinoy Big Brother Lucky Season 7 Regular Edition? The results are in and the evicted housemate will be revealed tonight, Monday, January 2, 2017. The housemates up for eviction tonight are Aura Azarcon, Baninay Bautista, Cora Waddell, Jerome Alarce and Wil Dasovich. Bookmark this page. Live eviction recap and results will be posted below once announced. Who do you think will leave the PBB house? Write your prediction on the comment section below. Meanwhile, Tanner Mata already secured a spot in PBB Lucky 7 Regular Big 3 after defeating fellow housemates Aura Azarcon and Wil Dasovich in big jump challenge. The remaining two spots for the finals will be determined via public votes.